Prime members should grab it while they can. Amazon has announced yet another cool bonus which can now be claimed by all Twitch Prime subscribers (those who have an active Amazon Prime membership are also automatically Twitch Prime members as well): a free copy of the unique time-bending shooter/puzzle game Superhot. From now until December 24, all Twitch Prime subscribers can claim their free copy of Superhot by visiting the official Twitch website and clicking on the ‘Prime Loot’ tab in the upper corner. In order to download and play the game once it has been claimed, a user will have to first download and install the Twitch desktop app and then locate Superhot in the Twitch app game library. Once you’ve claimed your free Twitch Prime copy of Superhot, it’s yours to keep forever so don’t worry if you have an existing backlog of games to work through first. 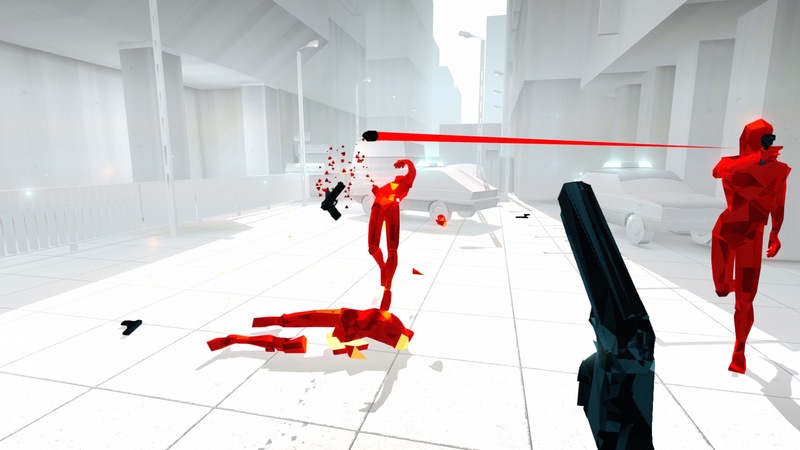 In other Superhot news, the game’s development team (which aptly refers to itself as The Superhot Team) recently announced it will be getting a standalone expansion in 2018 called Mind Control Delete. The expansion will layer roguelike elements onto Superhot’s existing formula of having time only move when the player does, adding new wrinkles into the already strong gameplay concepts that made the original 2016 release so compelling. Mind Control Delete will be entirely free for those who already own the base Superhot game when it launches. As for Twitch Prime, a number of other freebies and special offers are also up for grabs, including exclusive items for Call of Duty: WWII, Hearthstone card packs, and more. Again, those with an active Amazon Prime subscription are automatically made into Twitch Prime subscribers as well so if you have Amazon Prime and you primarily game on your PC (or game on your PC period), there’s no reason not to be grabbing the Twitch Prime freebies as they come out.